Please note: This post is not meant as medcal advice and you should always consult your doctor prior to doing anything. This is simply my observations of 2 devices that I have been using with the recommendations of my medical team. 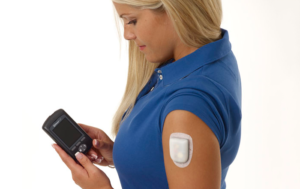 I haven’t updated for a while, but thought I would share about becoming a diabetic cyborg. 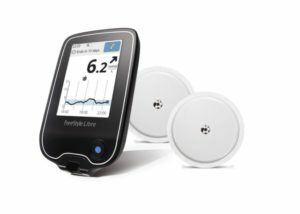 For around 3 or 4 months now, I have been using the Freestyle Libre Flash (FGM) Glucose Monitor which is a sensor that allows me to have continuous access to my glucose levels by a simple scan of a sensor. This then gives me 8 hours of glucose levels and I can see where it is trending, either up, down, or staying stable. This helps me know how to treat in real-time and allows me to therefore have a lot better control of my glucose levels then when I was doing blood glucose tests. While the Libre does give me glucose readings, it is different than a blood test. As opposed to the blood test, the Libre reads interstital fluid, which means it uses an algorithm to determine glucose levels. This is the same way that a continuous glucose monitor (CGM) tells you what your glucose level is – but unlike a CGM, the Libre, which is a FGM, there are no alarms if you are trending high or low, but there is still about a 15 minute delay. For people with hyper or hypo unawareness, this may not be the best thing to use, but I seem to be able to usually feel these, so it works for me. The sensor itself is quite a bit smaller than the CGM sensors which is something nice and as I have been wearing it, I really don’t even feel that it is there. And then about 2 weeks ago, I started on the OmniPod Insulin Delivery System, which is an insulin pump that is completely tubeless and allows me to receive a continuous dose of insulin over a 24 hour period and then further allows me to give additional bolus doses of insulin when I eat or when my blood glucose levels are higher than the target range which I have set with my diabetes education team, including my nurse and endocrinologist. The Omnipod allows me to have a small pod that I wear on my body which is prefilled with insulin and is then controlled by a device called the Personal Diabetes Manager (PDM) which has a variety of features including a blood glucose meter built in. In the couple weeks tat I have been using the device, I have seen my glucose levels stabilize quite a bit and I look forward to seeing my newest HbA1C levels. 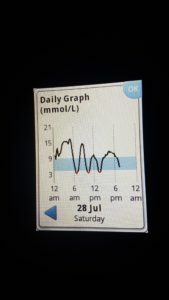 It has been interesting becoming a diabetic cyborg, but it seems to be helping me get control of my diabetes and for that reason along, I think it is worth it. The freedom to do more and just eat more of what I want is a definite benefit as well. I should also mention (if you didn’t realize by my domain) that I am in Canada so this information is more than likely more relevant to Canada, but both systems are available in North America and worldwide. 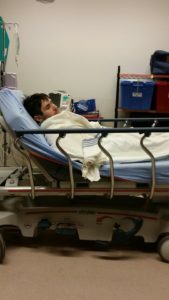 For some reason, I am always posting about my random trips to the ER. I’d really rather not be posting these stories…but, for now…I still am. I had just been camping the weekend before this all happened, and was feeling fine (albeit tired) when I got back home on Sunday afternoon. Anyways, I went to bed and on Monday morning got up feeling pretty crappy. By the end of the day, however, I was feeling better and had finally eaten something. I thought it was maybe just from being tired, so didn’t think much of it. The next day, I woke up feeling pretty much the same. So, again I tested my blood sugar to see where I was. It was 6.3 (I’m in Canada…multiply by 18). That seemed good. And then…I started to feel nausea. So I had a gravol and tried to rest a little bit. That didn’t really work. Instead, I started to vomit. Oh great. I tested my sugar again and it was up to 22.4. Yikes. That was only in a few hours. Not good. My dad came home from work and we went to the hospital. 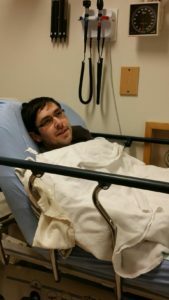 When I got there, I vomited again, they told me I had to be wheeled to a room in a wheelchair and I may not see a nurse for a while (this was after they took my vitals and found that my heart rate and BP were way too high). I got to the room and a nurse actually came in right away, which is really weird for our hospitals since they are usually really overcapacity because of covering all of the southern half of the province and the one I went to being a Level 1 Trauma Centre. She put an IV lock in and then left. For some reason, even though I felt awful and was extremely dehydrated, I still managed to tell me dad that they were going to give me saline. I tend to remember weird things when I am sick. I actually saw a doctor pretty quickly, which again was odd, and he ordered a bunch of labs…but told me he was pretty sure it was DKA (although it had presented so quickly that it was baffling him as to why I had it). So, a nurse came in and put a second IV in so that they could also give me insulin. The weirdest part was that my pH levels and potassium were all normal, which is a really weird presentation with DKA since usually when you give that much insulin, it will mess with potassium levels…and yet, in this case, it did not. As I have told people before, I am a medical mystery wrapped in a conundrum. As I waited down there, I watched my vitals on a monitor, sucked on ice chips, was taken for a chest x-ray (never told me why they did that one), and eventually saw another doctor for one of the ICU’s who decided she was going to test me for everything, and apparently could not find any reason for the DKA. I waited 8.5 hours in the ER (which is less time than the last time I was there, but still long enough). At almost midnight, they finally admitted me. I got to spend the night in Medical-Pediatric ICU (MPICU) because they wanted to test my blood sugar every hour throughout the night. Hello, no sleep. I also got to have a second ECG (had one in the ER as well), more blood tests than you can shake a stick at (I still maintain doctors must be vampires) and at one point someone from RT came to do blood gasses. The next day, they did rounds and decided to let me out of MPICU and took me to a ward. I think that ward was the “We don’t know what to do with you, so we will put you here” ward, because there was a bit of everything there. I spent another day and night there. Bored out of my mind. At least I had Netflix on my phone so I had something to do. Every doctor I saw said they thought I was fine to go home. However, the ward doctor thought otherwise. I actually ended up almost having to leave AMA because he didn’t actually do anything other than walk in, spend 15 seconds to say you’re staying, and try to leave right away. I told one of my nurses he had the bedside manner of a tomato and the personality to match, and she readily agreed. That’s never a good sign. So, after I met with one of the CDE’s in the hospital, they let me out. I had the 2 IV locks taken out and I basically left as quickly as possible. When I got home, I was glad to have real food…because hospital food may have been real at one point in time, but I think that point of time may have been December 1965. Back in 2012, I woke up in the middle of the night, shaking and unable to stay warm, no matter what I did. So, I did that. And it was extremely low. Like 2.0 low (for Americans…multiply by 18). Anyways, I guzzled juice and hoped for the best. No such luck. After a little bit, I tested again…and my sugar was dropping. That’s not good. At this point, I also decided it might be a good idea to vomit. So, seeing as I couldn’t keep anything down, off to the emergency room we went. Luckily, I got in right away. They tested my sugar, gave me some glucagon and took me into a room almost right away. That’s almost unheard of in the emergency rooms here. Maybe it was because it was 2:00 am. I don’t know. When they got me into the room, the nurses noticed on the monitor that my pulse rate was through the roof (their words), so they did an EKG. That came back normal…except for the faster than normal pulse, which we accounted to the insanity that was going on. My oxygen level were good (which is a bonus…I’ve been on a nasal cannula before and it isn’t much fun…though helpful when you need it). Eventually, after I had been poked and prodded and had an IV lock put in, the ER doctor came in. She was wearing a tiara. And no, it wasn’t a hallucination…my parents saw it too. I guess he had worked a long shift. She ordered some blood work and had a specialist come see me. I thought he was an endocrinologist…but he was actually an internist. Weird. So, he ordered more tests and told me I would probably be admitted…if they could find me a bed. What fun! After that, the nurses tried to get me to eat but I was still too sick and managed to yet again vomit…on myself. We did try to get an emesis basin…but that was a losing cause. So, they got to change my hospital shirt. At least it wasn’t my clothing…I guess. After a while, they came and said I had to be moved, because they needed the room. But I couldn’t be admitted yet, because they didn’t have a room. And in fact, I may not be admitted at all, and would instead spend my time in the ER. Joy. So, off I went to what they called the waiting ward. It was basically an area of the ER where you just…waited. They did eventually bring me lunch, and I was able to eat it. Victory. After I had been in the emergency broom from about 2 am – 2 pm, they eventually came and said there was a room for me. But instead of letting me walk up to the ward (I had walked from the room in the ER to the waiting ward), they said I had to travel by gurney. I was okay with that. It just meant a free ride. So, off we went to the ward. One of the LPN’s came, told me I was on a ward (which I thought was an odd thing to say) and gave me a brochure to read about my rights. I was in a private room, which was nice. And unexpected. As the shifts came and went, I started to see the same people. There was a board up in the room that had a bunch of information on it, and one was “What you can expect”. I really wanted to put “Bad Food and Boredom”. I told one of my nurses that and she suggested I add “Beautiful Nurses” to my list of B’s I was to expect. I ended up staying in that room for a couple days, and then getting moved to another room because they needed the one I was in for someone else. I don’t actually know why I was on that ward…I think it was just somewhere they could find to put me. I had a few friends come up and see me (and more sent texts because they had to work). I had a few books to read (and got through them way too fast). I actually had to ask to have my IV taken out, seeing as they had taken away the saline they were giving me and again, all I had in was the IV lock. By the time I got it taken out, I became an exam for an LPN student…so not only did I have the student taking out the IV, but her instructor was there as well. That was fun. I’d told one of my nurses (and the doctor) that I was going to take it out myself if they didn’t, so that may have sped thing up a bit. When I finally got home, I was just glad to not be in a hospital anymore. A few days later I got a letter from the health region asking me to grade them. More or less, they did fine, However, I kind of wish I had thought to say that the doctor kept me in for extra days just because he was waiting for some test results that I didn’t need to be there for. He could have called me back had there been any problems. And by keeping me in, it was using up healthcare dollars. 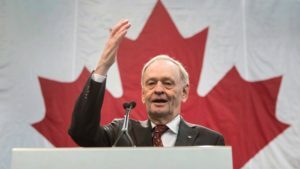 Yes, in Canada, we have “free” healthcare…but it still gets paid for somehow. Yesterday was probably one of the highlights of my summer. At around noon, I loaded up and took a 3 hour drive to go and see the musical Wicked. I have wanted to see it live ever since I first heard the cast recording in 2003 and have had to wait until now for it to come on tour to where I can easily get to it. And let me tell you – it is everything I had expected. In fact, out of the musicals that I have seen on tour (Phantom of the Opera, Hairspray, Annie, Jesus Christ Superstar, and Wicked) I would have to say that Phantom and Wicked are the best. I loved them all – but those two stand out in my mind as ones that I would go and see over and over again (if only I had the money to do so). As soon as I walked into the theatre, it felt like I was transported to Oz. On stage, you could see a huge map of all of Oz with the Emerald City lit up in green (of course) and above the stage was the Time Dragon. The overture of the show started and there was flying monkeys dancing around the stage! It quickly turned to the map being raised and munchkins coming out from both stage left and right and starting to sing “No One Mourns The Wicked”. As they were doing this, Glinda (Natalie Daradich) came out of the rafters – in her bubble! I had seen video of the opening before and had wondered if they would have the bubble, but I wonder no more! The opening number is full of energy and quickly leads into a flashback to when Glinda and Elpheba (The Wicked Witch of the West) are just arriving to their first day of university at Shiz University. It is here that we first get to see the way that Glinda used to be before she encountered Elpheba – shallow and self-absorbed. The first act moves at a extremely fast pace and it is soon that we learn about the trouble the animals (who speak) are having – losing their voices and being placed into captivity. Elpheba and Fiyero (prince of the Arjiki tribe in the Vinkus) run off into the woods and set free a lion cub who had been placed in a cage (a new invention in Oz) – and it is here that they first develop feelings for each other. At the end of the scene, Elpheba receives word from Madame Morrible (headmistress at Shiz University) that she has been invited to see the Wizard! Her and Glinda end up going together and the Wizard does see them, but has a trick in mind. He has Elpheba turn his monkey servent, Chistery, into a flying monkey so that he can spy on subversive animal behaviour. This enrages her and she runs away, barricading herself in the attic of the palace. The Wizard sends his guards after her and as this is happening, Elpheba enchants a broom to fly, asks Glinda to fly away with her, Glinda says no, the guards break in, and Elpheba flys! The second act flew by just as quickly with as many plot twists as in the first. By the end of it, many people in the theatre were in tears as Glinda and Elpheba sang “For Good” and after the show – the entire audience gave everyone a standing ovation. There is a lot more that I can say about this show, as I have always really liked it – but the biggest thing to say is – even if you don’t normally go to musicals, and you have the chance to see one – see this. It will completely change the way you think of The Wizard of Oz (Wicked is a prequel to the book/movie). I read the book Wicked prior to seeing the musical, and while it is more difficult to get through then the musical, it is also well worth the read. Here are a few snippets from the show…. I went to an interesting college. And a lot of the things there just lend themselves towards being a musical. So, even though I am not done writing…I thought I would share some snippets from what I have written so far. Counsellor: Right. Here you are Gary. (pause, look at paper) You’ll be living in Brygmann Hall. Just remember….Brygmann Hall is on fire for Jesus! Kelsie: Ya I am. I was supposed to be in Whit, but they moved me to LA. Gary: They’re making you live in Los Angeles? Kelsie: No…Lewis Apartments. What dorm are you in? Greg: Wait? You want us to ask you for your advice about getting engaged before we know we’re thinking about it? Dawn: Hey everyone. Welcome to Briercrest. We’re gonna have a lot of fun this year. I’m here to talk to you about something very important – Joe’s Place. What’s that, you may ask? Well, it’s a youth drop in centre in Moose Jaw. Yes you can laugh if you want – it is a funny name for a town. But Joe’s Place is serious. If you are thinking about taking field ed, and you all should be, I’m going to encourage you to spend some time at Joe’s. It’s an amazing place and you will be changed there. See me at the back if you want some more info. Greg: I don’t want to be a buzz kill, but its 10:50. Isn’t curfew 11? Kelsie: You’re right , it is. Let me think about this for a second…I know there is a way we can get out of hours…. Matt: We got lost coming back from Boharm? Leah: Doesn’t going to Boharm mean something? Tyler: We got arrested for preaching on the corner? Wanda: It was a little weird. My roommate likes to talk in her sleep, and all that she could talk about was this guy she had met the other day…. Kelsie: (interrupting) I told you that might happen…it doesn’t mean anything. Kelsie, Leah, Wanda: We’re not worthy…. Jason: And then there was the time that we had our bear skull stolen by LA. See, we had always spent a lot of time planning ways to ask them out on dorm dates; so of course, they had started to expect that. A couple years ago, some of the guys must have decided they didn’t want to do that anymore. So, they just basically walked up to LA, sort of grunted out something like “You go out with us. Friday.” That didn’t turn out too well. The next time we had open dorms, which was the next day, our bear skull went missing. No one really knows where it came from or why we had it, but we had got used to having it around. Eventually, we realized that LA had it and when we went and asked them about it, all they would say was we needed to atone for how we’d asked them out. We got together, found a couple guys with guitars, and went over to LA, stood in the courtyard, and serenaded them until they finally gave us the bear skull back. Ever since that day, we have always made sure that we asked them out in a proper fashion. On that note, we plan on kidnapping them next week to ask them out. Who’s in? An actors mind is like a babies diaper. You never know what’s in it. I was gonna say that I wore it home. But then I realized that two dozen people know where it is. And…yeah. I don’t believe in monogamy. It’s not for me. At least, not for a long time. 1100 grams of salt? This woman is dead! Why don’t you ever say anything sexual around me? It gets me all turned on. Can’t we just not and all sleep in peace? We’re having a protest at my apartment. They want to close the pool. And we’re pissed. It’s not like a fairy tale this time. I’m not just falling madly in love. This time I can actually think. Don’t just get a cheese bun warmed up. It just tastes like grease with a bun. He’s never talked much. I’ve known him for a good nine years, and he’s never said that much. So, what performance school are we going to? The cards don’t talk about death. Except for the death card…it does. I’d give you pork rinds, tea…, and even crumpets. You two can be lovers, and we’ll all be buddies. Give it up. It’s over. I was just lying here on the couch and I heard her talking about jumping on me. I didn’t think she would. Then she did. We have rehearsal that day! I thought he was timid…but he isn’t. You made it to Orange Julius? He was trying to hit on my little sister when they were alone in the basement. I really wanted to make out with someone last night. My sister threw me out of the way and got in their face like a bouncer would. He had been walking down the street, kicking in car windows. When he went to court the next day, he was still drunk. Is everyone decent in here? You’re always walking around in your underwear! Cookie monster doesn’t eat cookies anymore? I was playing poker with a deck of tarot cards. I got a full house and four people died. Only the monkey was wearing a thong?